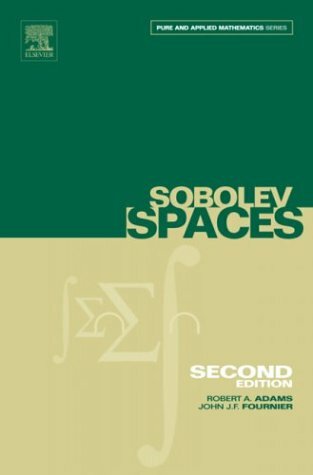 Sobolev Spaces presents an introduction to the theory of Sobolev Spaces and other related spaces of function, also to the imbedding characteristics of these spaces. This theory is widely used in pure and Applied Mathematics and in the Physical Sciences. This second edition of Adam's 'classic' reference text contains many additions and much modernizing and refining of material. The basic premise of the book remains unchanged: Sobolev Spaces is intended to provide a solid foundation in these spaces for graduate students and researchers alike. * Self-contained and accessible for readers in other disciplines. * Written at elementary level making it accessible to graduate students.